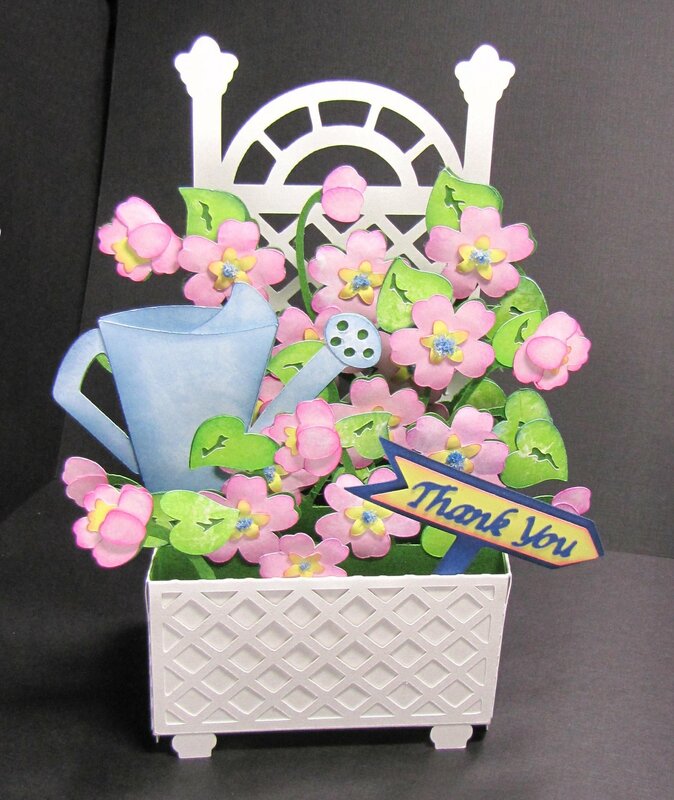 This lattice trellis card in a box can be used for many occasions. It has been uploaded to the MTC gallery and the file includes directions. Give it a go. Good idea. Di-lite has some lovely patterns. I think that's delightful. Looks bright and breezy - just what you need on a rainy day. I think I've put up a similar backdrop to this one not sure if it would suit you though. Thinking one or two of my gates might make an interesting backdrop with the box in front. Why can't I find it in the galley? It's so pretty. @PaperCreations I've looked in the gallery and I don't think it's there yet - did you upload it? If so can you give us its name please. Thank you. @PaperCreations That is gorgeous! Does it fold flat for mailing? Very pretty card. I cant find it either, but I love the idea and may try it on my own. Thanks for showing! @PaperCreations, really a beautiful design. Thanks for sharing. BTW, if you tell us what your Gallery ID number is, that will make it even easier for people to find your submissions in the gallery. I uploaded it last night, but it's not there yet. Does anyone know if there is a file size maximum that we can upload to the gallery? My number is 6844. Attached is the MTC file and instructions. If anyone has information on the maximum size file we can put in the gallery - let me know and I will adhere to the max. 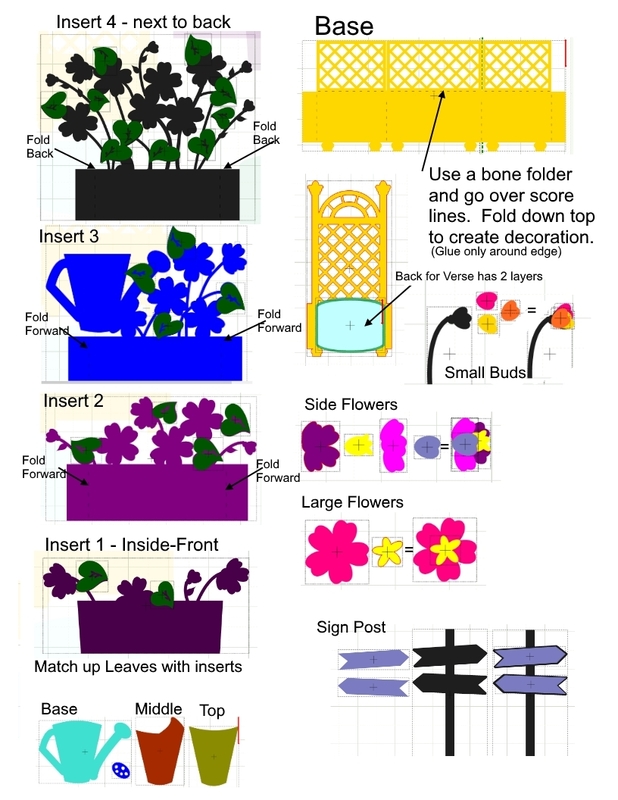 I love to include instructions and an image of the card in the upload to help others make the card. 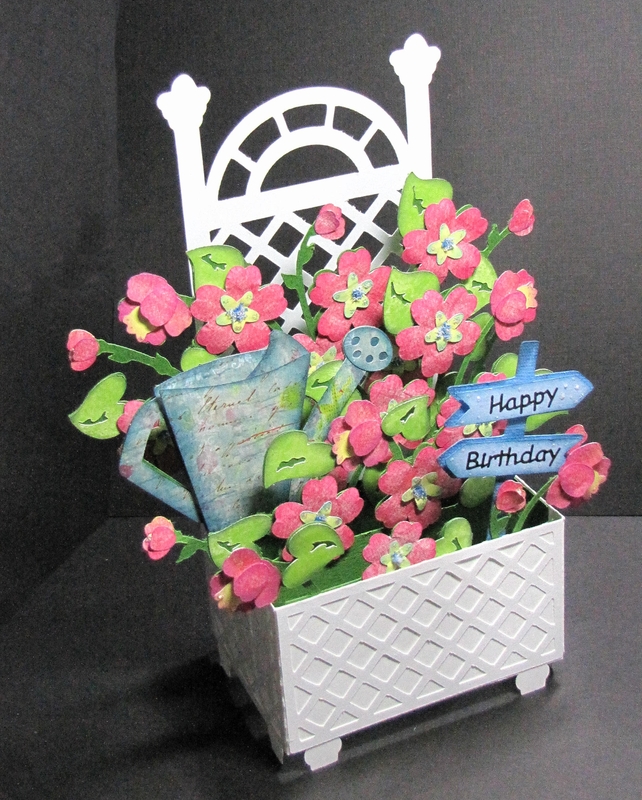 Thank you for sharing your file...beautiful card....perfect birthday card for my sister! I have no idea what the limit is but I have put up files that are far larger then the 300 k you have there. The only reason for keeping them smaller is for those who have a slow internet speed. Make sure the photo is reduced in size before importing into MTC (it can be increased within the program without increasing the file size footprint) to minimise size of file otherwise I would have thought the size would remain relative small. Like you I think a photo of a finished project is a good idea to have on the front page. Love what you are doing. I think maybe the staff are on holiday so uploading into the gallery is slow. @PaperCreations - perhaps there is a limit, I don't see this file in the Gallery, there are others from recently so one assumes all is working well. Let's ask @SBryanW to check it out. I love this card! Thank you so much for your file. I can't get anything I try to post to the gallery there either lately. Oh my goodness....this is so pretty! Thank you for sharing! LOVE ♥ LOVE ♥ LOVE MY 15" KNK MAXX!!!! there is a card in the gallery that was yours (Headless Horseman) do you have a picture of what it is to look like when finished. There was nothing in the notes. Going to have to try it. Never mind, I found it. Great card by the way. Beautiful card. This will be perfect for birthday card I need to make tomorrow. Thanks so much! @PaperCreations I just finished (mostly) your beautiful card and was astonished that it also folded flat! I didn't think it would. I love your designs; thank you so much for your file. Thank you for trying it out. I'm glad you like it. Thanks. Thank you for sharing a beautiful card. Youy card made me smile. Beautiful work. I'm unable to find your card in the gallery, is it still available please? Just finished putting this card together. Considering the amount of time it took me to cut and construct it I can only imagine the amount of time it took you to design it. Thanks for sharing the file, I am going to give it to a wonderful lady who will be turning 94 this Friday. I know she will love it! Thank you so much for this file. It is really lovely. Thank you, it's a gorgeous file! What did you use for the little blue centers of the flowers? Thank you for sharing this file. I hope mine turns out somewhat like yours. I used "Flower Soft" in the center of the flowers. It can be found at: https://www.flower-soft.us.com For what ever reason, I am unable to upload the MTC file for this card to the gallery, but it is included in one of the comments of mine above. I have sent the files to Bryan, and with any luck he can figure out why the file is not uploading. Awesome card! Thanks so much for sharing! !